While I hate starting off the year with a downer, I also think it’s important to remember the lives our community has lost. They would want us to move on, but let’s not forget their contributions. On May 16, Dean Potter and Graham Hunt died in a wingsuit flight accident at Yosemite National Park. Potter was a well-known pioneer in climbing and BASE jumping. Hunt was an up-and-comer in the scene and Potter’s long-time flying partner. The Nitro Circus family lost one of its own on September 28. Erik Roner died in a skydiving accident during the opening ceremony of a celebrity golf tournament. The ski-BASE jumper reached fans from any action sports disciplines due to his involvement with Nitro Circus. October 1 saw another wingsuit fatality. Johnny Strange, a BASE jumper and the youngest person to climb the seven summits, died at the age of 23. In early December, downhill skateboarding and street luge legend Biker Sherlock took his own life. The link I put includes info on how to donate to his family. Lastly, Japanese motocross rider Cloud Toda died in a foam pit fire. He overcame great odds after an accident left him paralyzed from the chest down and was practicing whips in hopes of getting into the X Games. We will miss all of these individuals, but their spirits live on as we are reminded to seize each day. This is not much of a picspam since I was only able to attend for a couple hours in the morning and my photos did not turn out great (apparently I’m good at vert shots but not other events). 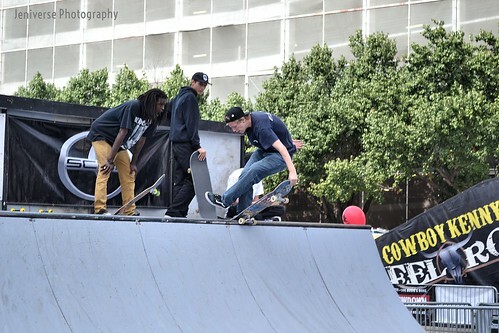 D-Town Throwdown took place on October 17 in the middle of downtown Dallas and featured three skateboard disciplines: vert, street, and downhill. On top of the competitions, there was a freestyle motocross demo, concerts, and live art. There was also a mini-ramp set up for attendees to do some skating of their own. 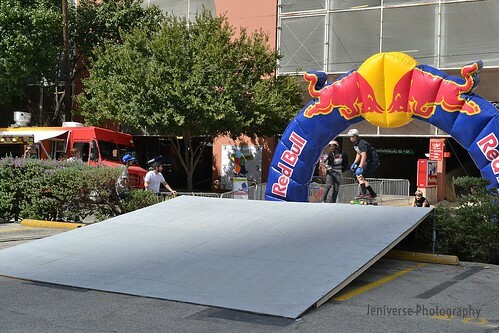 The downhill event took place inside a parking garage. Qualifiers ran all day and included a diversity of riders. In the end, Billy Bones took the win with his grandparents watching. Trying to catch a shot of racers out of the chute was a bit tricky. I nearly cried when I read Gus Kenworthy’s coming out story (I probably would have cried if I had been alone in the room). As a queer-identifying individual, I know how difficult it can be to express that aspect of you. Anyone who is not a straight, white cis-gendered male is going to have it rough in a lot of places, not just action sports. Unfortunately our community lags behind in creating more acceptance. Two and a half years ago, I wrote a post titled “Action sports need to be more gay”. Now we have one. Although I don’t want to take away from what Gus has done, the headlines citing him as the first gay action sports athlete erases the struggles of those who came before him. In fact, Cheryl Maas took a stance against Russia’s anti-gay policies when she was in Sochi. For many reasons, that didn’t make huge headlines, and the simple truth was that things haven’t changed until now. Gus won America’s heart as part of the Men’s Ski Slopestyle podium sweep in Sochi and also as the guy who brought home some puppies (though he clarifies that it was his boyfriend at the time who did most of that), and he more than earned freeski cred by being a five-time Association of Freeskiing Professionals champion. He fits that privileged mold with the exception of being gay. In other words, he had a lot to lose and yet a lot of power. By sharing his story, Gus has raised awareness of the microaggressions, like using “gay” to mean something “uncool” or automatically assuming that there’s a girlfriend or even this little sketch that implies two men can only be in bed together for comedic purposes. Those little things hurt, but they’re often hard to see when homophobia is associated with a slur-filled tirade or the Westboro Baptist Church protesting. Now the action sports community can no longer pretend that a problem with homophobia and toxic masculinity does not exist. Although contest organizers, sponsors, and other athletes can choose to remain silent or make a bad j, we fans will notice. For me, I hope that the support means that there can be a safer space not just for LGBTQIA individuals, but anyone who is a minority in the action sports world. I came into the scene because it promoted “freedom of expression” and united those of us who weren’t into the more popular sports. I fell out of it partly due to the realization that I’d been seeing a facade. My liberal politics have distanced me from my old motocross message board buddies; I can’t be myself around them when I’m not sure how they’ll respond to my interest in feminism or queer politics. The day before Gus’ story broke, a photo of my drag king alter-ego with a skateboard on Instagram received a homophobic slur. I brushed it off as some immature teenager or self-loathing adult with nothing better to do, but whey should we let anyone get away with such hateful actions? To be a community, we have to help one another. And that’s what I will be watching for. We’ve taken the first step by listening to Gus’ story and Tweeting out our support. Being an ally is more than that. I’m still learning and constantly checking my privilege (because even if I identify with the LGBTQIA spectrum, my queerness is not always apparent or as big of a difference as my being female in a male-dominated world). We’ve got to work together, and I have hope that a bunch of action sports fans will find the courage to be themselves. Because that is what I feel like I can do even more now. I don’t know if I’m making it to Aspen for Winter X this year, but if I do, you bet I’m gonna be waving a giant rainbow flag. Boy do I have a lot of X Games content to share. 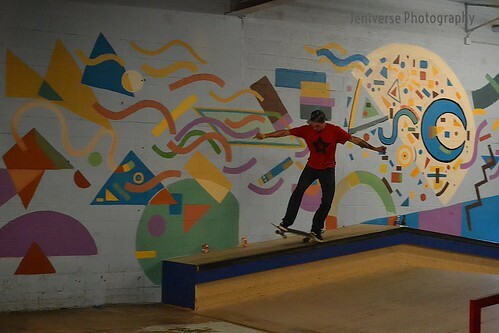 I’m really eager to get to them, but with yesterday being “Go Skate Day”, I remembered that I hadn’t gone around to writing about the Jeff Phillips Tribute at 4DWN from last month. 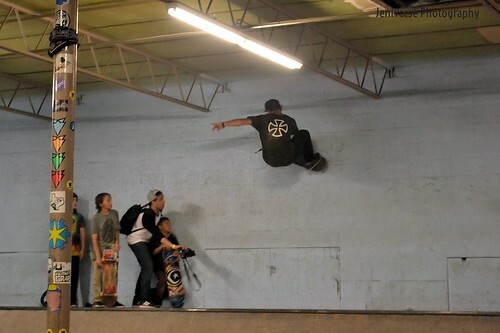 Unfortunately, it was when Texas was being pounded by rain so I missed the little bit of vert that happened. There was still some great action indoors from the locals. My camera set-up wasn’t ideal, and I learned that shooting street/park is a completely different ordeal. 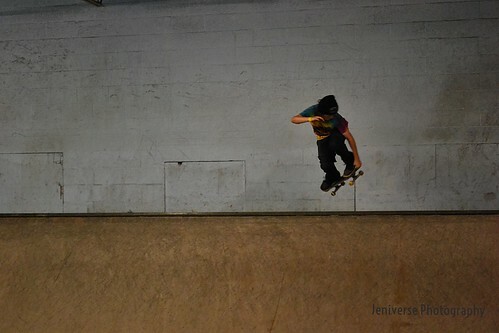 However, a nice gentleman gave me some tips on how to follow a skater and catch the right moment. Despite the weather, lots of people came out to honor Jeff’s memory and support the Suicide and Crisis Center. For more photos from this year’s event and the one from 2013, check out my Flickr album. I stumbled across a video featuring the founders of Bureo Skateboarders, and I thought sharing their missions would be the perfect Earth Day post. Surf and skate enthusiasts Ben R. Kneppers, David M. Stover, and Kevin J. Ahearn combined their business and engineering backgrounds to form Bureo and Net Positiva, a fishnet collection and recycling program in Chile. Net Positiva helped reduce pollution from discarded nets, which are then turned into plastic pellets for their signature skateboard, the Minnow. The boards are available in skate shops in several states, Chile, Switzerland, and Japan. You can also get them on-line. Although the Minnow costs more than your typical skateboard, the infographic from Bureo’s site shows the great impact it has. As you can see, Bureo Skateboards has worked to reduce plastic pollution and greenhouse gas emissions—not to mention helped the forests by having an alternative to wooden decks. Protecting our planet is priceless. The State Fair of Texas is a 127-year-old tradition in Dallas. 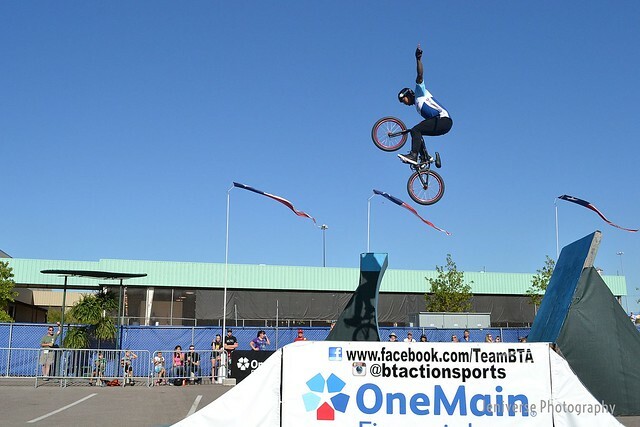 In more recent years, Big Time Actionsports has come out to do BMX demos. The guys perform three shows a day, six days a week for three weeks plus one additional weekend. I finally was able to make it out to the Fair this year, and I managed to bypass almost all the yummy fried food for the action (I hadn’t eaten lunch so I did make a detour).